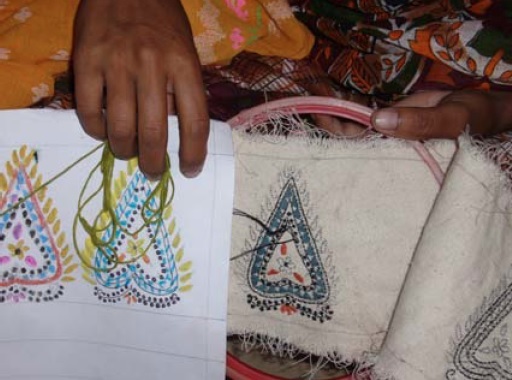 Skill up-gradation is an important step towards enhancing capability and lowering poverty in rural clusters. However it has been found that skill up-gradation activities with business follow-up, provides much improved result. This is because, firstly, in the presence of a target, the learning process becomes focused and the interest of the stakeholders gets enhanced. 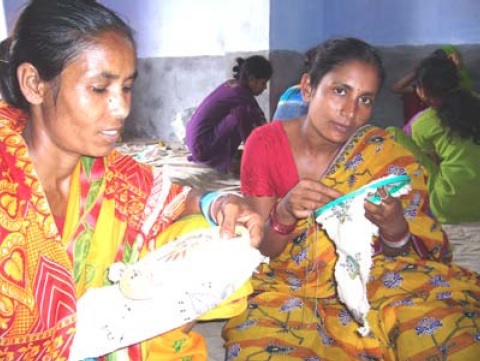 The objective of this project was to Promote women entrepreneurship and create new employment in Shantiniketan Kantha Embroidery Cluster through sustainable market linkage. Income level of the artisans have been increased by 30%. Rs 5,000 of additional income on average have been increased.